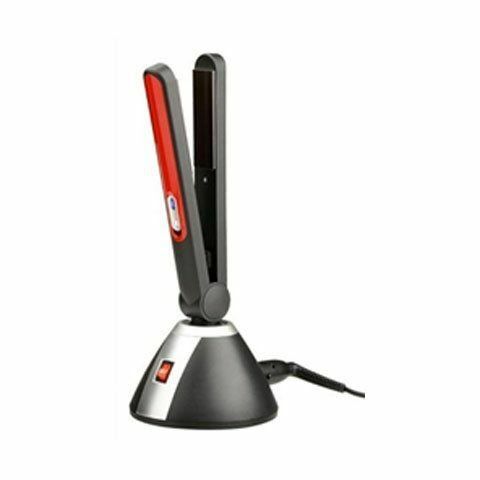 The BARBAR 1300 Ionic Flat Iron can be used on wet or dry hair to reduce styling time without burning or damaging hair due to its ionic ventilation holes that seal in moisture. Equipped with titanium plates, the 1300 Flat Iron lasts longer and is kinder to the hair than ceramic or tourmaline plate flat irons, heating up evenly use after use! 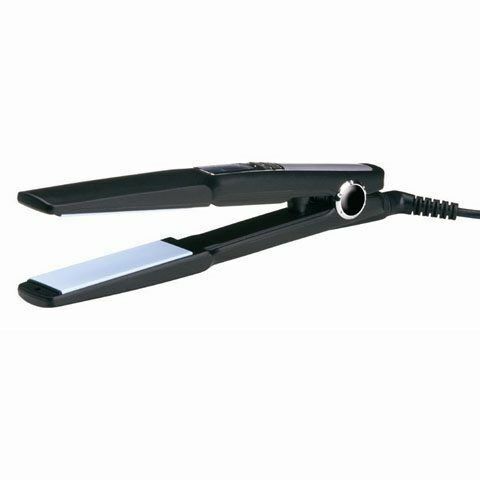 The Barbar 1400 “BT” Black Tourmaline Flat Iron features a silver, sleek design and with 1″black tourmaline plates, is ideal for short to medium length hair. Black tourmaline is a healing crystal that negates radiation and protects your hair from damage. The BARBAR 2400 Ceramic-Ionic Flat Iron straightens hair beautifully, creating softness & shine with its built in ionic charger. 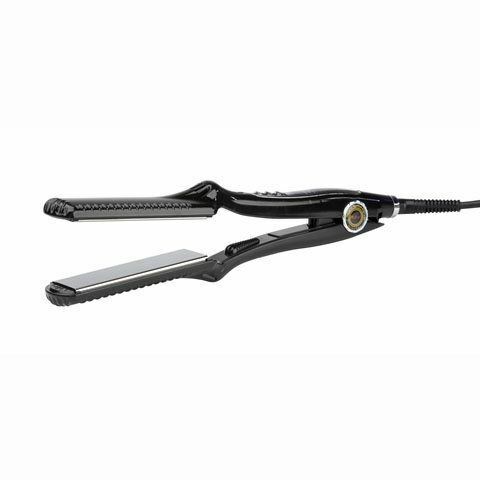 With 1″ ceramic plates, the 2400 Flat Iron is ideal for short to medium hair lengths. 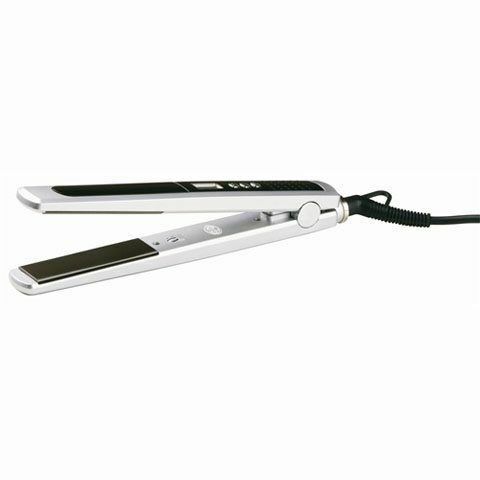 The BARBAR 2200 Titanium-Ionic Flat Iron can be used on wet or dryer hair to reduce styling time without burning or damaging the hair. 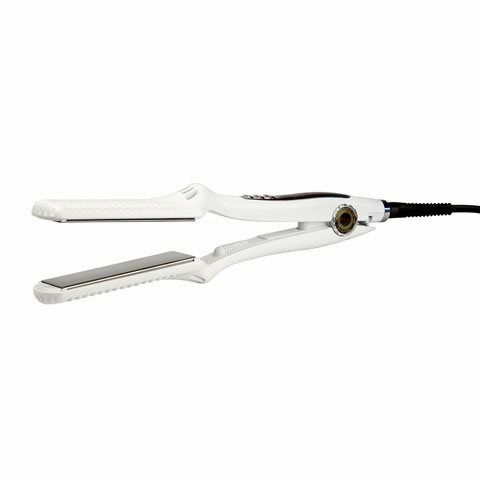 Equipped with titanium plates, the BARBAR 2200 lasts longer and is kinder to the hair than ceramic or tourmaline flat irons, heating up evenly use after use! With its silver, sleek design and 1″ plates, this flat iron is perfect for short to medium length hair. The BARBAR 2500 Nano Ceramic-Ionic Flat Iron uses nano technology to combine particles from the ceramic plates and built-in ionic charger to create fused ions. 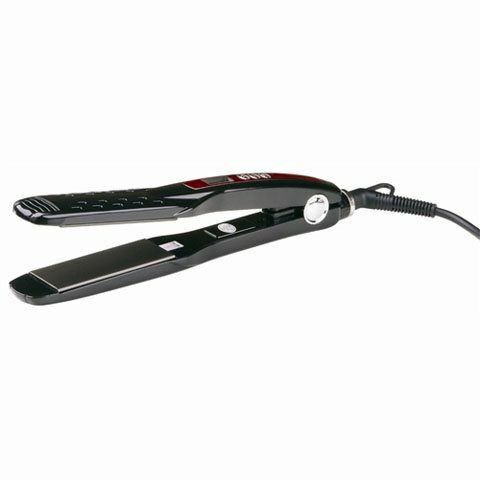 These ions tackle frizz, producing shiny and lustrous hair.The 2500 Flat Iron is ideal for all hair lengths. 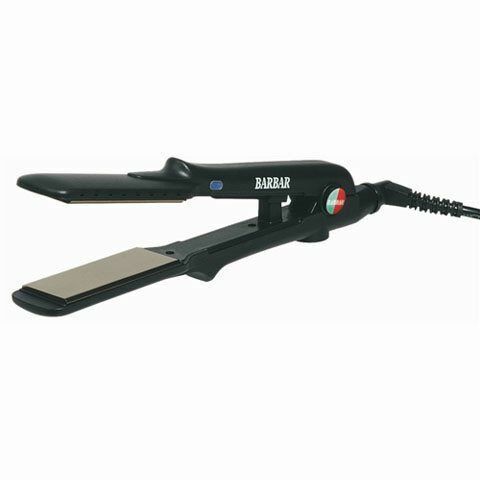 The BARBAR 2300 Titanium Ionic Flat Iron can be used on wet or dry hair to reduce styling time without burning or damaging hair due to its ionic ventilation holes that seal in moisture. 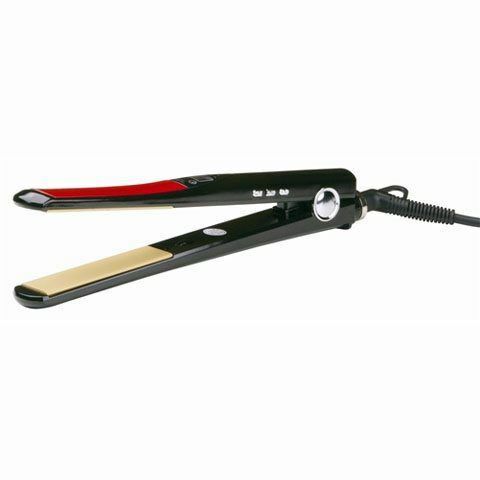 Equipped with titanium plates, theBARBAR 2300 lasts longer and is kinder to the hair than ceramic or tourmaline flat irons, heating up evenly use after use! You’ll find this professional flat iron straightens hair beautifully, creating a sleek, shiny look. 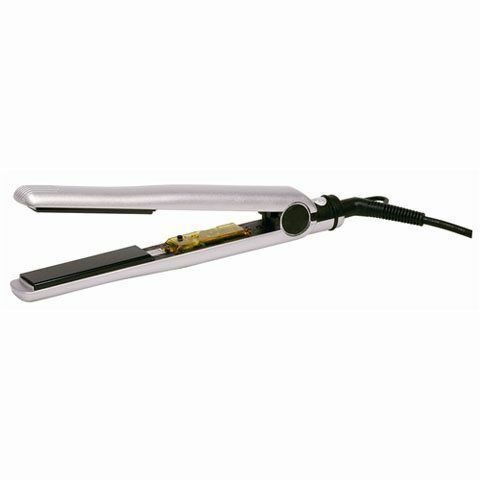 The BARBAR 2600 Titanium-Ionic Flat Iron can be used on wet or dry hair to reduce styling time without damaging hair due to ionic ventilation holes that help seal in moisture. 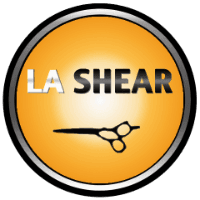 Equipped with 1-½” titanium plates and a maximum temperature setting of 450°F, this professional styling tool performs better and is kinder to your hair than ceramic or tourmaline flat irons, and can be used easily, effectively and quickly! You’ll find the 2600 Flat Iron straightens your hair beautifully, creating a sleek and shiny look!